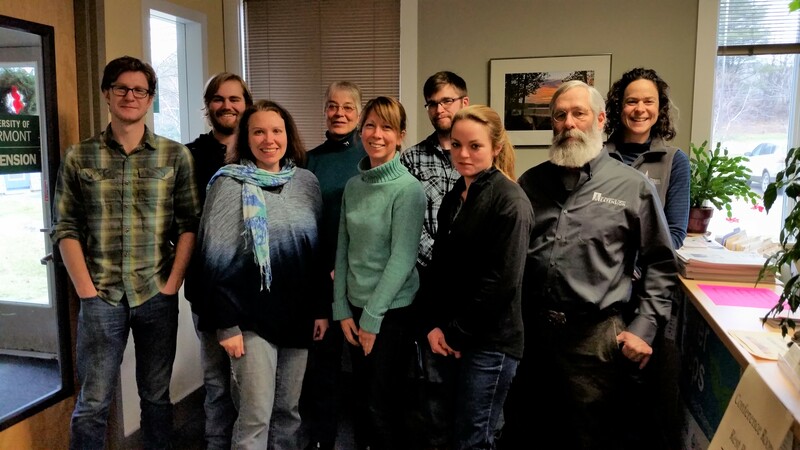 In early May, Dave Kennard at Wellscroft Farm and Fence Systems in Harrisville, NH hosted a fantastic full day workshop covering all aspects of livestock fencing. It was an information filled day with lots of helpful hints and tips on topics such as proper grounding, choosing the right sized energizer, locating it in the right spot, how to ensure lightning protection, and the latest and greatest types of fence and gates. There was really something for everyone, with a brush up on the basics as well as advanced tips to fine tune an existing system. 1. Improper grounding: One thing that can help ensure your fence is well grounded is to have enough ground rods in place. The rods should be in a line and at least 10 feet apart. Galvanized rods are preferred. How many do you need? A rule of thumb is to figure 3-6’ of ground rod per joule of energizer. So a 3J energizer could require up to 18 feet of ground rods depending on soil moisture and fence resistance. Your ground field should be at least 40 feet away from utility grounds. 2. Having the wrong sized or type of energizer: Energizers are either 110 V plug-in, battery, or solar powered. Their effectiveness is measured in joules. The size of the area that is fenced, the type of animal, and type of fence used will determine what size energizer is needed. They increase from small 0.5 joule units to 50 joules or more (and so does the cost). Choose one based not just on where you’re at right now, but where you might be a few years down the road, so that you don’t ‘outgrow’ it and have to buy a new one. It is recommended to install the energizer outside of buildings in a protected three sided enclosure. 3. Improper livestock training: Since electric fence is a psychological fence, not a physical one, animals must learn to respect it, rather than run through it. Most livestock when shocked for the first time will instinctively back up. That is, except for pigs! They will keep charging ahead. For pigs, you’ll want to train them to electric fence inside an enclosed area (such as a barnyard) which will give them a physical barrier as well. 4. Improper lightning and surge protection: Lightning can cause a voltage surge and damage the energizer if the unit is a plug-in type. If unplugging the fence is not an option before a big storm, plugging the unit into a 1,000 joule surge protector can help reduce the impact if a nearby utility wire is hit. Also, lightning can damage an energizer if the fence or an object near the fence is struck. High voltage will be carried along the fence wire and through the energizer on its way to the ground. Lightning choke/diverters can be installed at the start of the fence. For areas of 5 acres or more, additional ones can be installed with their own ground rods. The surge protector and the diverter each cost less than $15. Not a bad insurance policy for a several hundred dollar energizer. 5. Not monitoring the voltage and condition of the fence: Use a volt meter or fence tester to monitor your voltage. If the fence is not adequately charged, you can start troubleshooting where the problem lies. Some volt meters are also fault finders and can point you in the direction of the problem – a definite timesaver! Monitor your fence for poor connections (snapping sounds) and keep excess vegetation off the fence which can ground it out. 6. Not choosing the right type of fence: How many strands of high tensile wire do you need on your perimeter fence? For beef, you might need 2 or 3 strands. For goats, maybe 50 wires would hold them in? Just kidding! 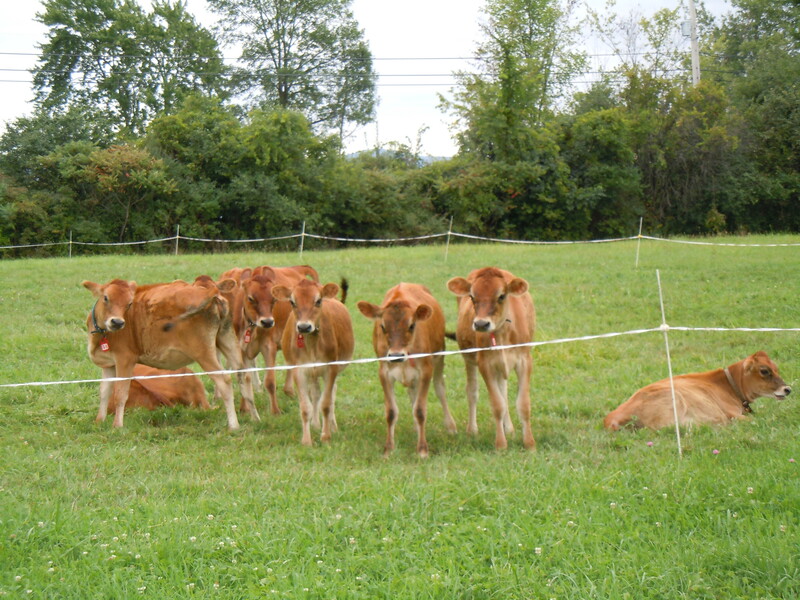 For temporary fences when making subdivisions, a single strand of polywire can do the trick for dairy cows, while sheep and chickens do well with electric netting. Keeping these tips in mind can help minimize problems and keep both the animals and the people happy during the grazing season.